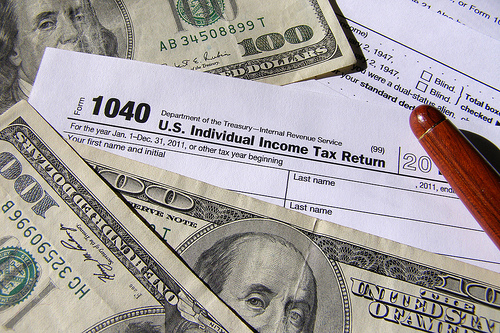 So … how did tax season treat you this year? If you’re currently renting your home, consider this: owning a home can often help you out at tax time. Use your IRA without penalty: You can withdraw up to $10,000 from your traditional IRA without the 10% penalty, if you are a first-time home buyer and you’re using the money toward your down payment. Deduct interest on your home equity loan: If you use a home equity loan or line of credit, not only will you enjoy a lower interest rate than that of a credit card, but you can deduct the interest at tax time too. Capital Gains: When you sell your home, you can keep profits without penalty for up to $500,000 for a married couple (half of that for a single homeowner). This works for homes that are primary residences and lived in for over 2 years. Energy Credits: If you have energy-saving features in your home (such as energy-efficient windows, insulation, or heating/cooling systems), you may qualify for a tax credit of up to $500. Taxes aside, home ownership has a number of other financial and personal benefits. If you’re looking towards next year and are hoping to take advantage of these benefits, give The Haro Group a call. We’d love to answer your questions and help you figure out the next steps!